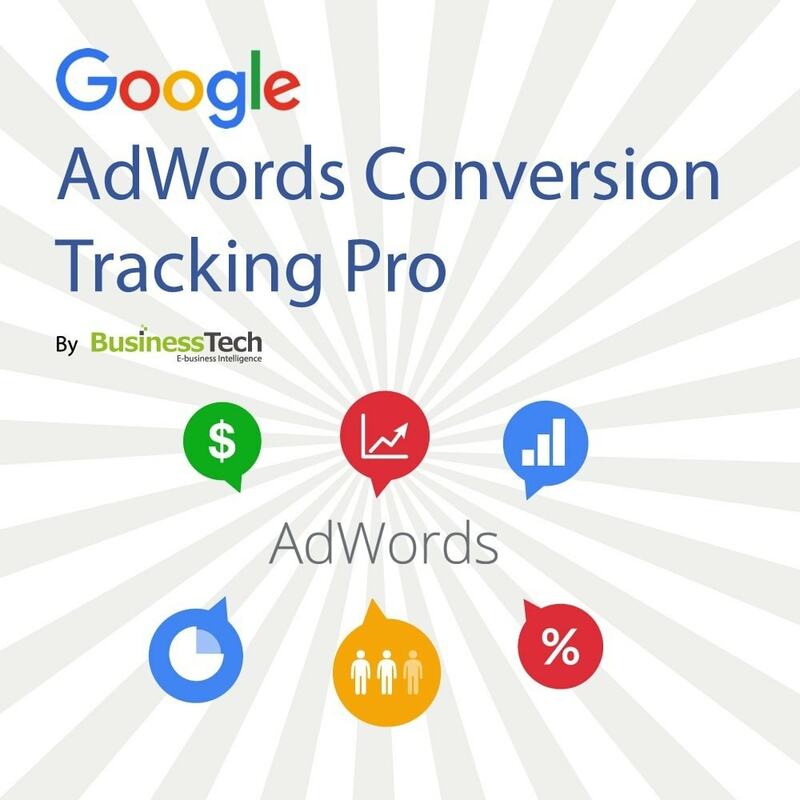 This state-of-the-art module, coded according to Google’s latest specifications, will allow you to correctly send to Google AdWords all your conversions and amounts, so that you can then obtain vital accurate ROI (Return On Investment) data in your Google AdWords account. This in turn will allow you or your SEM agency to continually monitor results, work on keywords, CPC bids and wording, fine-tune your budget and improve overall campaign performance ! 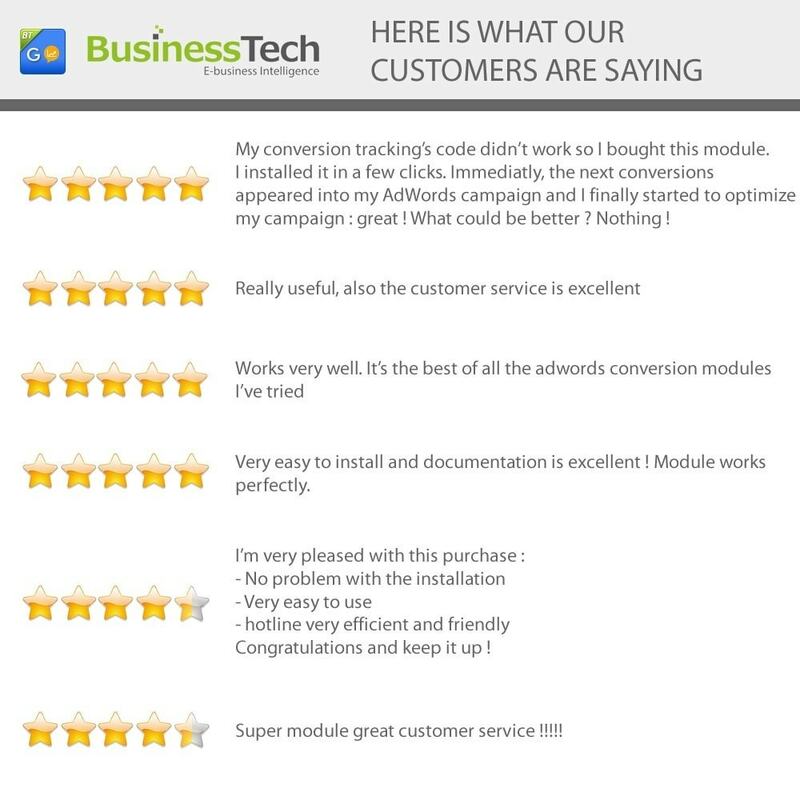 This module is developed and published by Business Tech, certified PrestaShop developer and winner of the 2011, 2014 and 2017 PrestaShop Awards for "Best module", with over 7 years of experience working with Google and Facebook. You are guaranteed to buy a robust, reliable and quality module. 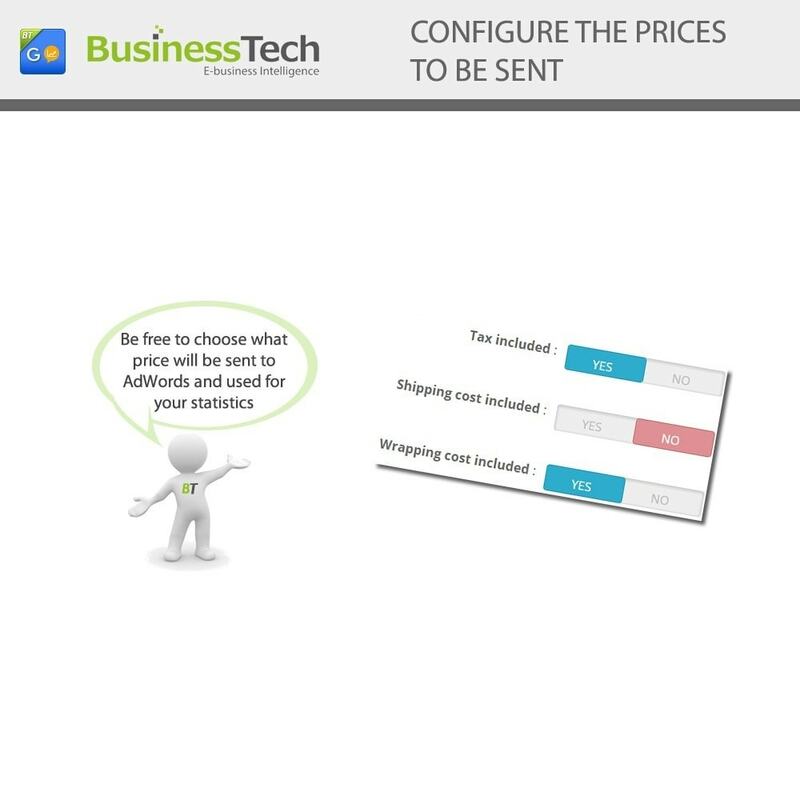 Furthermore, at Business Tech, we have a fast and efficient tech support : when you contact us, you are talking directly to the developers, so you are sure to be well informed ! Implement Google AdWords Remarketing and Dynamic Remarketing campaigns and drastically increase your conversion rate and sales. The most advanced Google Merchant Center module to upload your products to Google Shopping and get thousands of new, highly qualified visitors on your online shop. 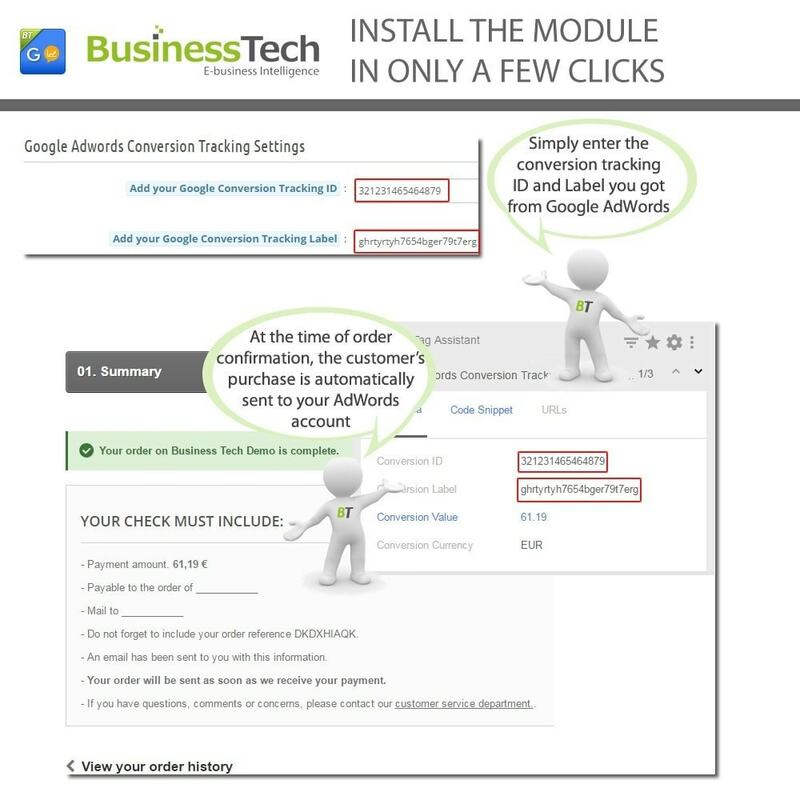 By installing this module you put code snippet(tag) into your website’s order confirmation page(or into the last step of the order funnel) to track conversions made by your customers after having clicked on one of your Google AdWords ad. 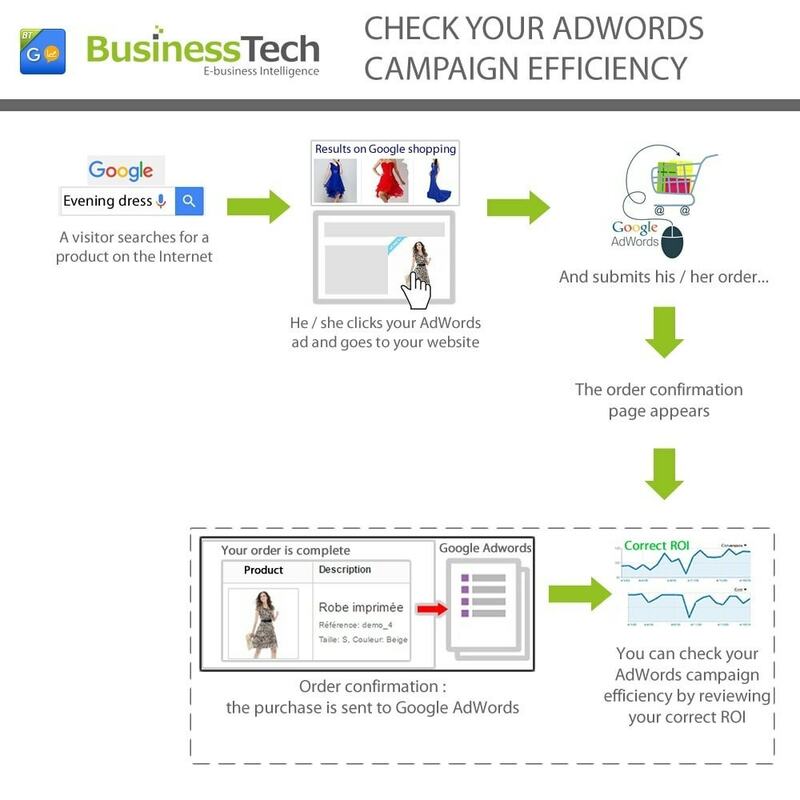 The collected pieces of information, in particular conversion total values and order references, are then sent to Google in order to be processed and then used to analyse the performance of your AdWords campaigns. Regarding this, we remind you that, as responsible for the use of personal data of your customers and visitors and in order to respect the new European General Data Protection Regulation, you must clearly inform your users of this, in an easily accessible documentation(e.g. your Terms and Conditions). You must provide them with the link that will direct them to Google’s personal data policy(https://policies.google.com/privacy/update). You also must inform them of their rights, in particular their right of opposition to the use of their personal data and the means to assert their rights. We decline all responsability in case of non-compliance with the above mentioned Regulation.